In this column, “The Masters’ Thread” (ept.ms/mastersthread), artists share their thoughts about how one master’s piece inspires their current work. 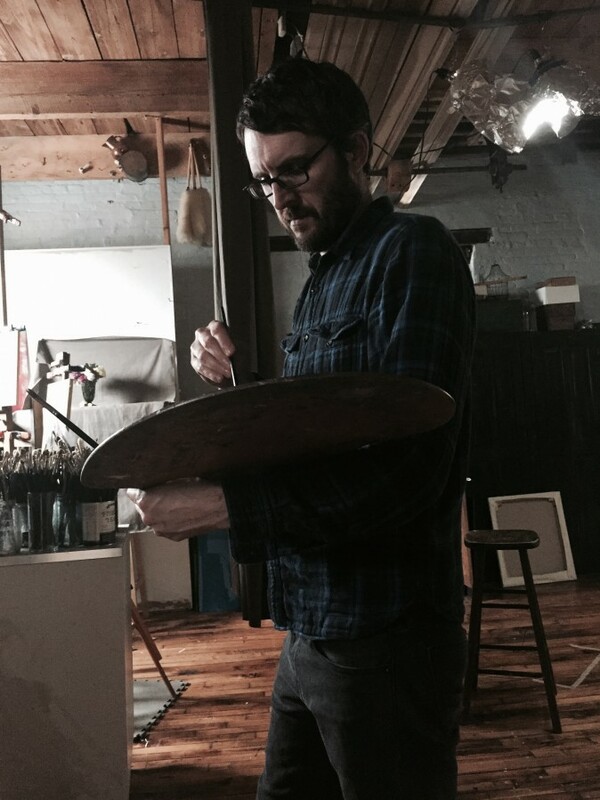 During my student days at the Pennsylvania Academy of the Fine Arts, I discovered that I had an affinity for painting things rather than people or landscapes. Whether I worked from a model or painted plein air, I always came back to still-life painting. The process of setting up objects, taking them down, and rearranging them many times over was deeply satisfying to me. It was a space of creativity where I could unchain my imagination. Painting the actual subjects to create the illusion of various textures was also of intense interest to me. I spent many afternoons in the school library acquainting myself with some of the luminaries of still-life painting, such as Juan Sánchez Cotán, Jan van Huysum, Willem Claesz Heda, Jean-Siméon Chardin, Anne Vallayer-Coster, Emil Carlsen, Hovsep Pushman, Henri Fantin-Latour, and Claudio Bravo, as well as many painters who worked in other genres as well. Though Chardin, and later Bravo, would become very influential to me at various points in my artistic development, here I wanted to acknowledge a lesser known still-life painter named Joseph Decker, who was one of my early heroes, and whose work still feels relevant to me today. Decker was mostly known for his small, humble still-life paintings, which he created during the late 19th century. Often his subjects were small baskets of fruit, like strawberries, plums, and grapes, similar to those you might find at a roadside farm stand. He also painted tightly cropped sections of fruit trees, with the branches full of fruit and leaves, set against a blue sky. The cropping on these fruit trees was considered very unorthodox for the time and was likely influenced by photography. Though he was born in Germany, Decker immigrated to the United States as a teenager. Given that he was a former house painter, he was likely no stranger to a hard day’s work, and his paintings seem to reflect that spirit. His compositions are spare and the subjects unpretentious. They feel very far removed from the grandeur associated with some of the European still-life paintings of the 17th and 18th centuries. His works were Spartan in comparison, with no opulent displays of wealth, exotic bouquets of flowers, or sumptuous spreads of food on display. But he was masterful at taking modest subjects and painting them with honesty and with a remarkable sense of naturalism. He made the ordinary remarkable and beautiful. His painting of grapes, which hangs in the National Gallery of Art in Washington, may be his most well-known work. It’s a very small painting, at 9 inches by 12 inches. The subject is two bunches of grapes, still on the vine, silhouetted against a rough, old plaster wall. It’s remarkable in its simplicity. 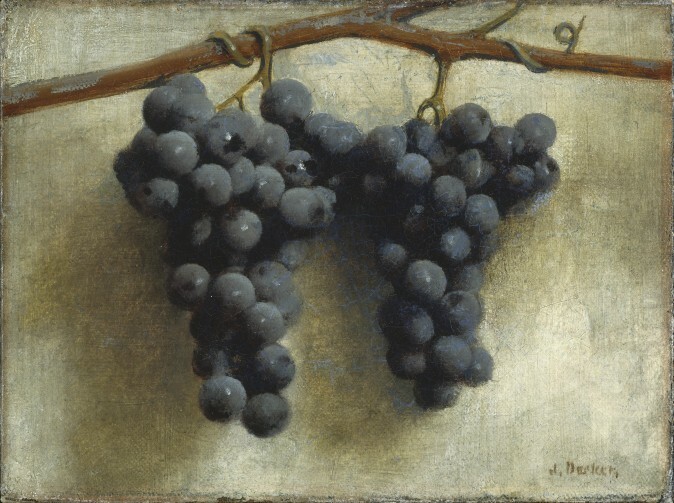 The grapes are modeled very effectively with a softer tonal style that he switched to later in his career. As opposed to the sharper outlines and delineated forms of his early work, this later method of painting was influenced by the work of George Inness, and it allowed him to created an amazing sense of atmosphere in this piece. Works like his “Grapes” inspired me to create numerous small paintings, which paid homage to the simple arrangements of Decker. These works changed my concepts of subject matter while at the same time shifting my aesthetic choices in a new and more present direction. In 2008, I painted my own take on Decker’s grapes, and after eight years I was inspired to return to the same subject for a recent solo show. On a random supermarket trip, I came across the most magnificent Concord grapes, and I immediately thought of Decker’s portrayal of that same subject as I felt that familiar spark of inspiration. 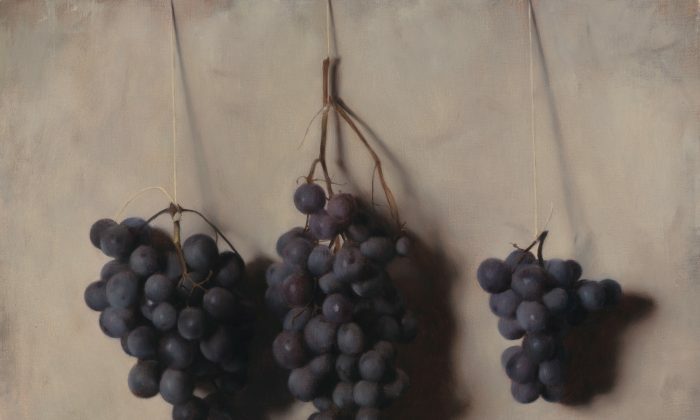 I painted those grapes with the same enthusiasm I had many years before, and it reminded me of all the things I admired in Decker’s work: the straightforwardness, modesty, and restrained beauty.